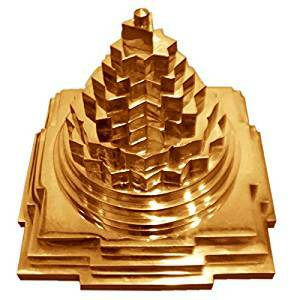 Sri Yantra is probably the most well-known among all yantras. It is also called the king of yantras. The presiding deity of the yantra is Sri Lalita Mahatripurasundari or Sri Rajarajeswari Devi. A Sri Yantra can be inscribed on a metal plate and it can also have the 3-dimensional Meru form. Given below are pics of two kinds of Sri Yantra that i have found on net (that are available for shopping). One of which has some color fillings and one is without them. 1) Is the PIC 2 Yantra defective? 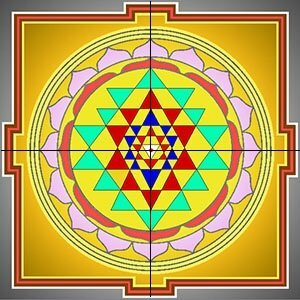 If yes, which Scripture prescribes what color should fill in which triangles of the Sri Yantra? 2) What do these different colors signify? According to the author of the above article, the correct color fillings for Sri Yantra has been given in various Scriptures. But the author quotes only the Mantra Mahodadhi. For quite sometime I have been observing the many multi coloured sri yantra pictures published in the various websites and tantra books. While one is free to visualize HER as one wants, being a sri vidya upasaka I thought of making a sri chakra with the right colours as described in the various scriptures. The following is the outcome of my study of several tantrik scriptures, mantra mahodadhi and also the writings of Sri Amritananda. The author then gives the following list of colors that should fill the different avaranas (layers) of the Sri Chakra. 1st Avarana the outer square with three lines and 4 gates is brown. The outer line is white (though the colour of the 10 deities here is like molten gold), the middle line is orange red like the rising sun and the inner line is yellow like the colour of butter. 2nd Avarana the 16 petal lotus is pink like lotus flower. 3rd Avarana the 8 petal lotus is red – the colour of Bandhuka flowers. 4th Avarana the 14 cornered triangle is colour green like the colour of glow worms. 5th Avarana the outer 10 corners triangle is red like Japakusuma flowers. 6th Avarana the inner 10 corners triangle is colour blue (though the deities here have the lusture of 1000 rising suns). 7th Avarana the 8 corners triangle is colour red like Dadini flowers. 8.The innermosst triangle is white. 9.The Bindu the central point is red like Sindoor. I made the above picture by colouring the 9 avaranas accordingly. The background colours are of course to give a visual effect. So, the PIC 2 Sri Yantra might not be defective but it can certainly be thought of as being less effective than the one which have the correct colors. But i am not satisfied with this answer. And, i am expecting more answers from other users which have explicit quotes from the relevant Kaula Scriptures. Not the answer you're looking for? 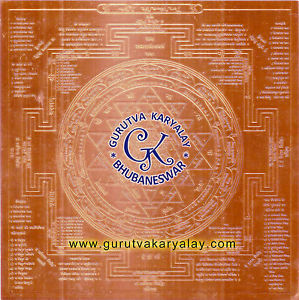 Browse other questions tagged scripture devi tantra sri-vidya yantra . 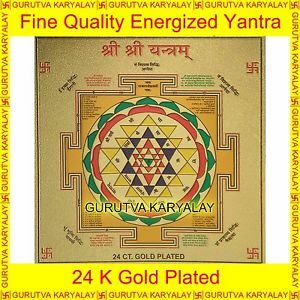 What is the overall role of Yantras? Are they used in Vedic ways of worship also?